Plan your day from start to finish using this toolkit. Customizable postcard to advertise your day of service. With date, fillable. Customizable postcard to advertise your day of service. With date, 4-up, fillable. Customizable postcard to advertise your day of service. No date, fillable. Customizable postcard to advertise your day of service. No date, 4-up, fillable. Customizable door hanger to advertise your day of service. With date, fillable. Customizable door hanger to advertise your day of service. With date, no template, fillable. Customizable door hanger to advertise your day of service. No date, fillable. Customizable door hanger to advertise your day of service. No date, No template, fillable. Social media art to advertise your day of service. This resource offers suggestions for small group discussion and individual reflection that explores who we are as servants baptized in Christ’s life. Personalize your service T-shirt with your congregation’s name. Customizable poser to advertise your day of service. With date, fillable. ELCA Brandmark and "God's work. Our hands." Lock-Up Graphic. Add your congregation's info to this customizable Graphic. Watch how Good Shepherd Lutheran, Somerville, NJ served their neighbors together on "God's work. Our hands." Sunday. ELCA's dedicated day of service, "God's work. Our hands." Sunday, will take place Sept. 9, 2018. 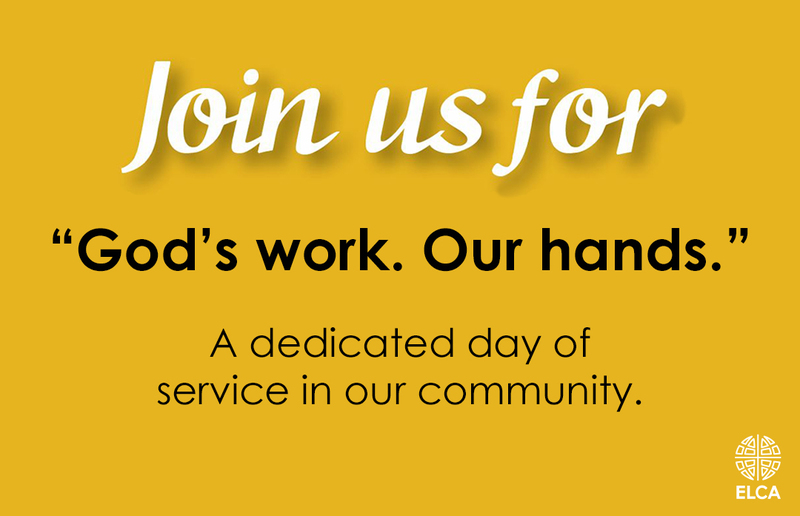 Watch ELCA members tell their stories about the ELCA's dedicated day of service, "God's work. Our hands." Sunday. 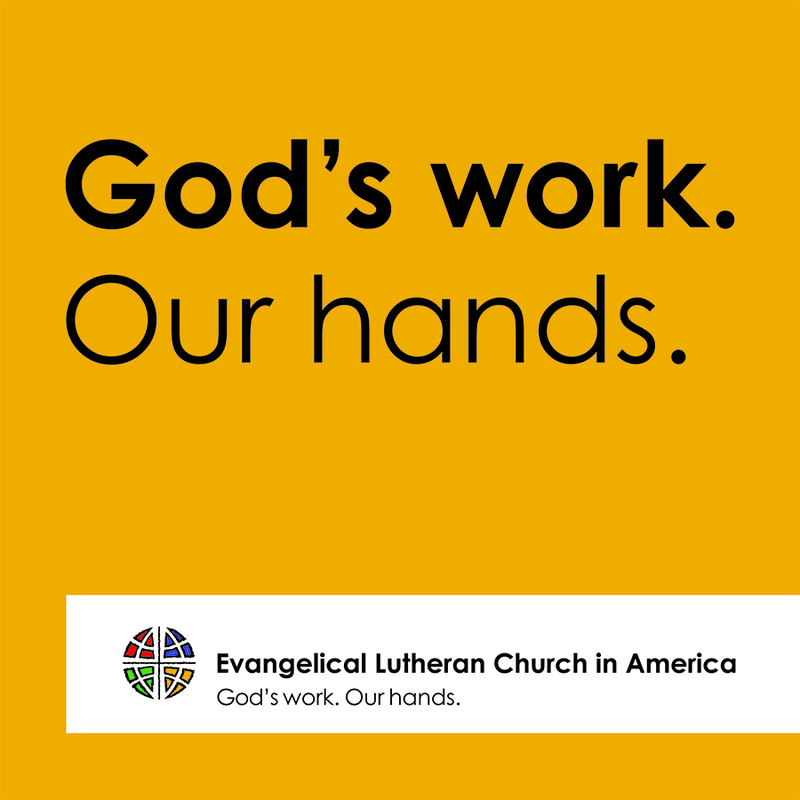 ELCA congregations around the country participated in "God's work. Our hands." Sunday on September 11, 2016. 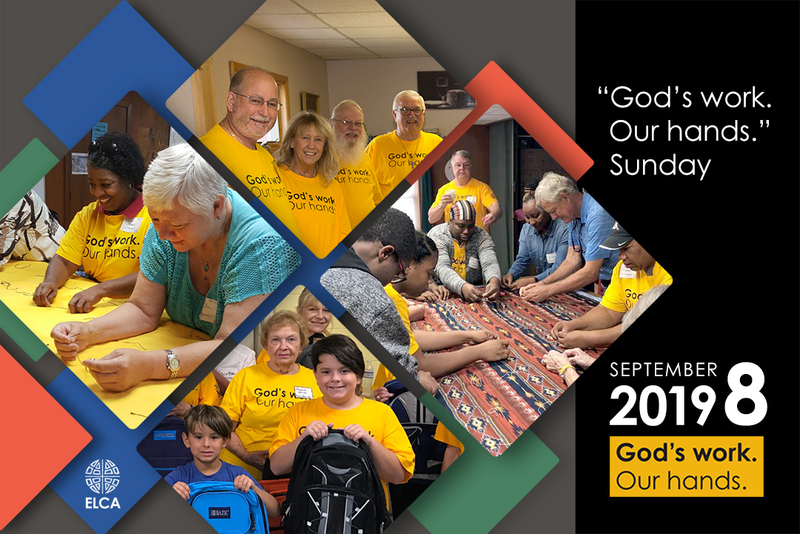 On Sept. 13, 2015, thousands of ELCA members joined in "God's Work. Our Hands." Sunday, completing service projects in communities all over America. "God’s work. Our hands." Sunday 2015 at Pueblo de Dios Lutheran Church in Compton, Calif.
"God’s work. Our hands." Sunday 2015 in Montrose, Minn.
"God’s work. Our hands." Sunday 2015 at St. Andrew Lutheran Church in Whittier, Calif.